Women are receiving, and actively interpreting, contradictory information about the risks of drinking alcohol while pregnant from a number of sources, according to a new study. 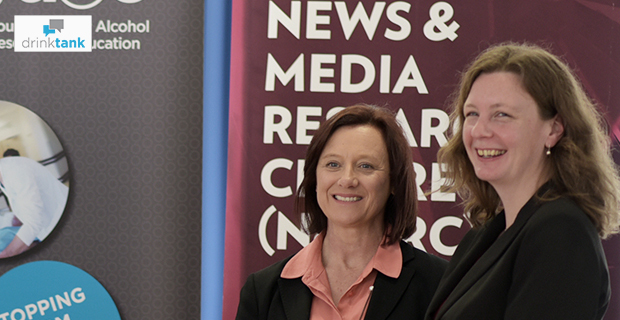 The qualitative research, Conversations about alcohol and pregnancy, was funded by the Foundation for Alcohol Research and Education (FARE) and undertaken by the University of Canberra’s News and Media Research Centre. Report authors Dr Kate Holland and Associate Professor Kerry McCallum presented their findings at the ACT Legislative Assembly on 12 August, coinciding with the launch of FARE’s Women Want to Know campaign in the ACT region. Conversations about alcohol and pregnancy examines how the Australian media portray alcohol and pregnancy and how women in turn, respond and interpret that information. The study included a textual analysis of news reports along with interviews and focus groups with women based in Canberra who were pregnant, had young children or were planning a pregnancy. Our findings are situated in the context of: the 2009 National Health and Medical Research Council Guidelines, increasing concern about Fetal Alcohol Spectrum Disorders (FASD), concern that some women continue to drink during pregnancy, increasing media attention on women’s drinking, ideas of good and bad mothers, risk as a dominant discourse surrounding pregnancy and motherhood, media as a source of public understanding of alcohol risks and policies, and variable information and advice available to women about the risks of drinking alcohol during pregnancy. In the first part of the study we analysed reporting about alcohol and pregnancy from print newspapers, online, television news reports, and pregnancy and parenting websites. News stories tended to emphasise a particular aspect of the story, and five frames characterised media coverage about alcohol and pregnancy in Australia: ‘contested evidence and advice’, ‘FASD crisis’, ‘blame risk-taking mothers’, ‘women’s rights’, and ‘community responsibility’. Media contribute to the confusion around the issue, with the dominant frame through which journalists reported on this subject being ‘contested evidence and advice’. 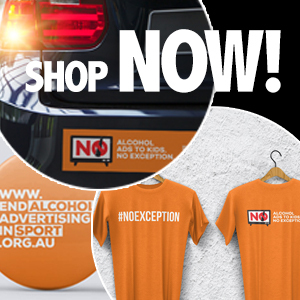 Of the 110 news items analysed, only 44 stories mentioned that women are currently advised not to drink, and of those only 20 mentioned the Australian alcohol guidelines specifically. Some of the themes that emerged from the second part of the study, through interviews and focus groups with Canberra women, included that drinking before realising one was pregnant is quite common, and that evidence regarding the effects of a small amount of alcohol is contested. Uncertainty leads some women to adopt the ‘better safe than sorry’ approach, however some other women did not rule out alcohol completely. It was clear from our research that women actively interpret public health guidelines and media reporting using their own situated knowledge, and that this is a vital part of the public conversation about alcohol and pregnancy.